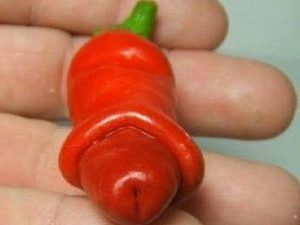 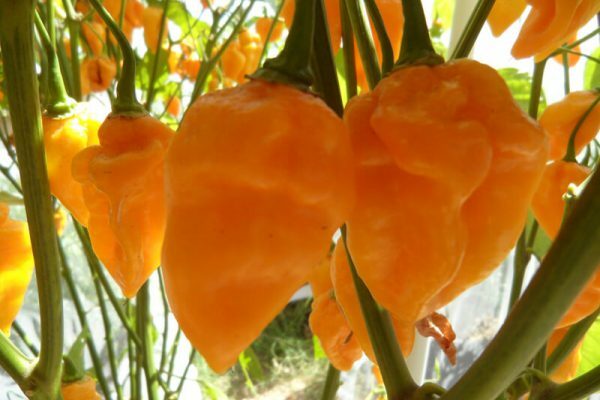 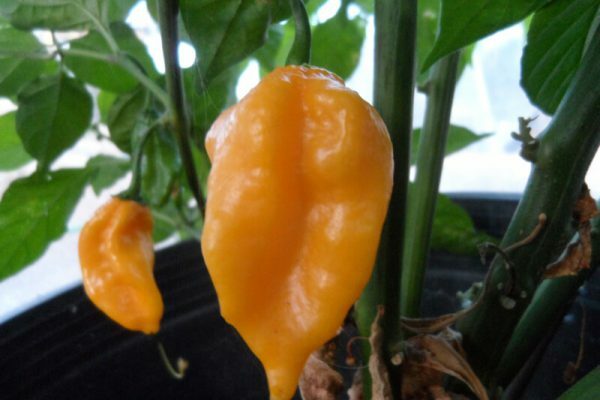 If you want a pepper from the habanero family that has the best flavor a habanero can offer but only a fraction of the heat than this is the one. 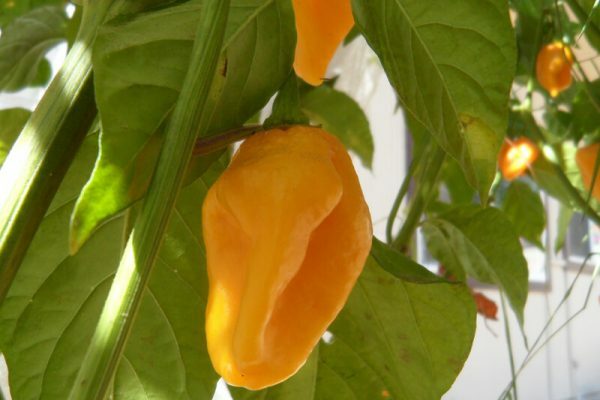 The Grenada seasoning pepper is so versatile and delicious that it is exported to other islands in the Caribbean! 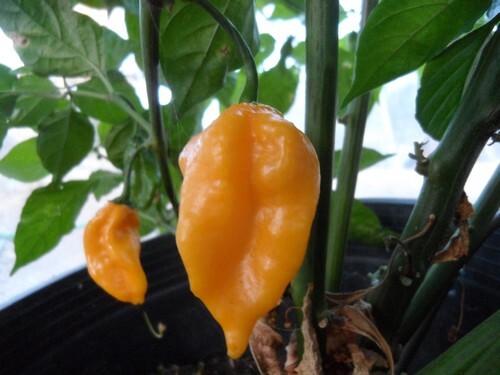 It has a sweet fruity flavor with nice citrus tones. 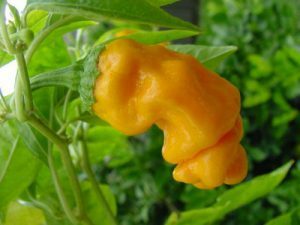 It is used mainly as a cooking pepper in Grenada but make a great addition to a fresh salsa and would stand on it’s own as a pepper sauce. 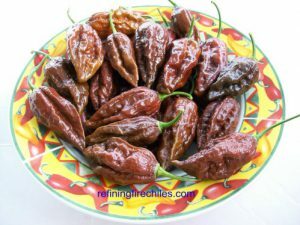 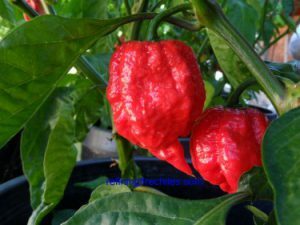 The Grenada Seasoning pepper is very productive and produces peppers about 12 grams in weight. 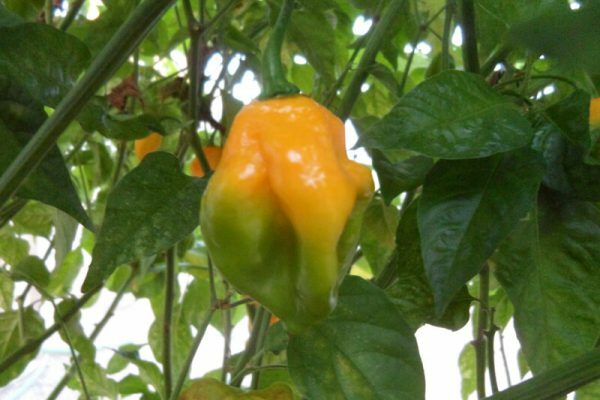 The Grenada Seasoning Chile plants grow up to 4 feet tall.